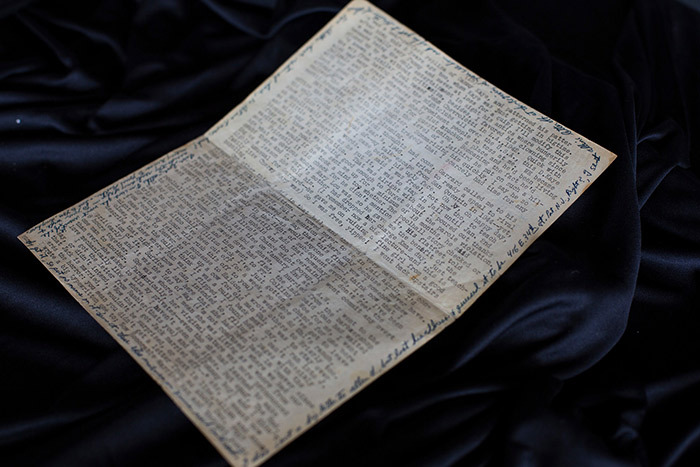 A 60-year-old letter that is credited by American Beat Generation writer Jack Kerouac as the inspiration for his novel “On the Road” has been acquired by Emory University’s Stuart A. Rose Manuscript, Archives and Rare Book Library. 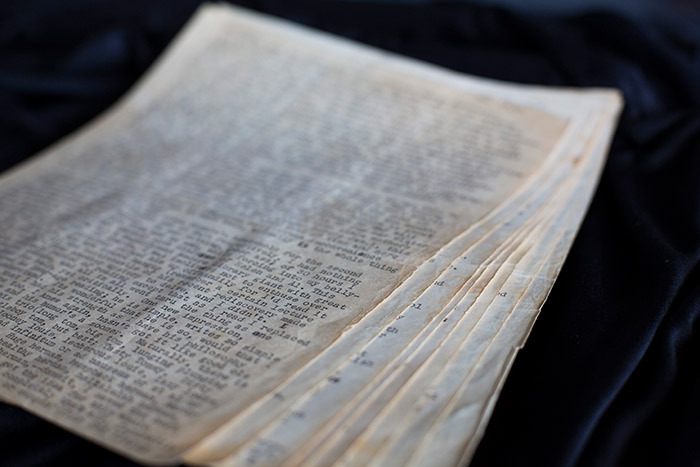 The 16,000-word letter, which Kerouac described as "the greatest piece of writing I ever saw," and which he credited with inspiring his prose style in “On the Road,” was thought lost for 60 years. The letter was discovered in 2012 in the archived files of Golden Goose Press. 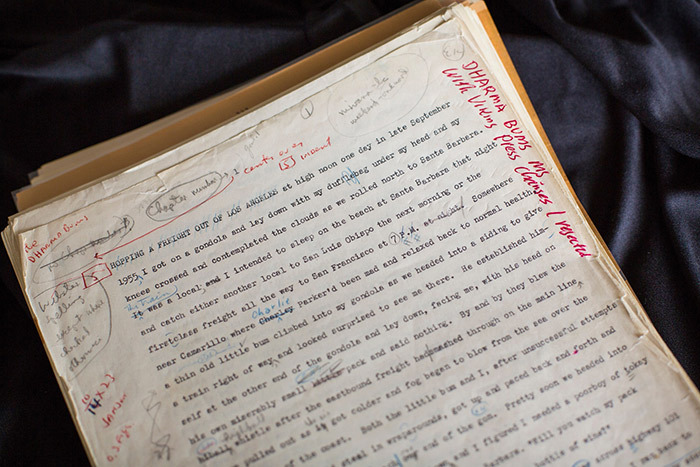 Emory also has acquired a rare original typescript draft of Kerouac’s novel “The Dharma Bums,” originally submitted to Viking Press in 1958. This manuscript includes numerous editorial corrections and suggestions from the publisher, and the author’s often salty responses in his own hand. The typescript also will be part of “The Dream Machine” exhibition. “’The Dharma Bums’ typescript is a fascinating and personal look into the composition of this classic novel,” says Aaron Goldsman, Emory PhD candidate. Goldsman is co-curator of “The Dream Machine” with Emory PhD candidate Sarah Harsh and former Rose Library curator Kevin Young, now University Distinguished Professor at Emory. A class Goldsman is teaching this semester is creating an online companion exhibition to “The Dream Machine,” which will be available later in the fall. 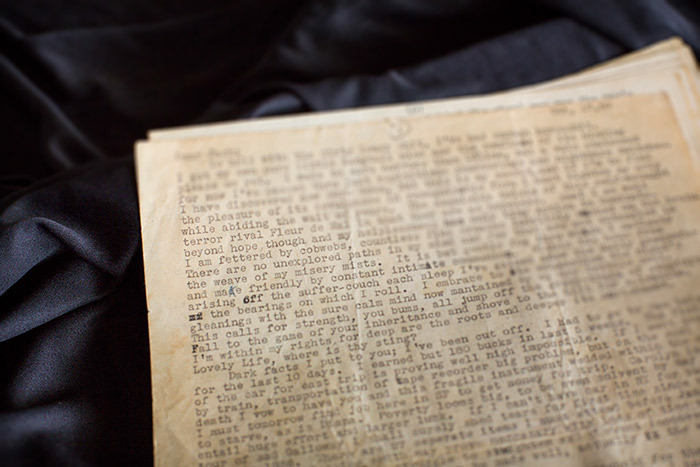 The Joan Anderson letter and “The Dharma Bums” typescript join a broad and deep collection on Kerouac and other Beat Generation writers already held by the Rose Library. Many of the items will be part of the exhibit, which includes a rich array of diverse authors, such as Helen Adam, Amiri Baraka, William S. Burroughs, Jack Gilbert, Allen Ginsberg, Ted Joans, Joanne Kyger, Lenore Kandel, Bob Kaufman, Diane di Prima, Jack Spicer, Laura Ulewicz and Anne Waldman, among many others. 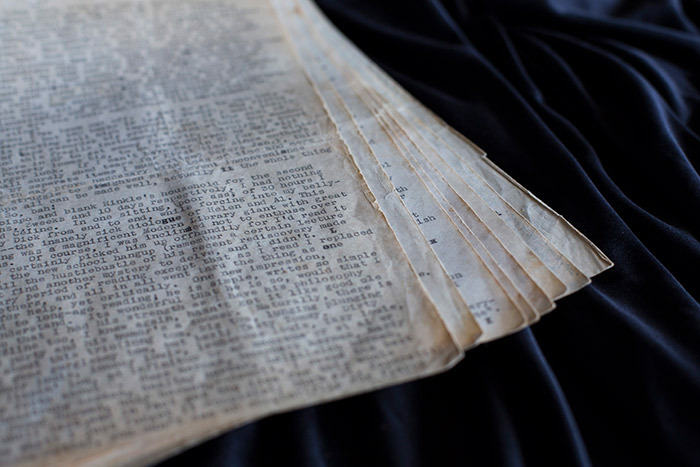 The Rose Library’s materials on Kerouac are particularly extensive, and include a collection from Kerouac’s brother-in-law, John Sampas, and the Jack and Stella Sampas Kerouac Papers, 1940-1994. The collections contain artwork, audiovisual materials, clippings, correspondence and writings, financial and legal records, artifacts and more. Among the artifacts are an Army rucksack used by Kerouac, a suitcase, his final typewriter and Kerouac's paint box with his signature on the side, used for his various artworks. According to Magee, all are welcome to view these and other signature items from the Rose Library. The exhibition will run through May 15, 2018, in the Schatten and Corridor galleries on Level 3 of Emory’s Robert W. Woodruff Library, which is located on the Emory campus at 540 Asbury Circle in Atlanta, 30322.